Brew freshly ground beans, insuring a fresh cup of coffee every time. You can use your own house blend for a unique coffee experience. Using single use carafe pods can be costly in the long run. 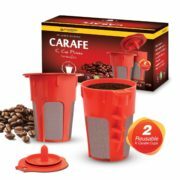 Our Reusable Carafe K Cup Filters work with Keurig 2.0, K200, K300, K400, K500 Series of Brewing Machines. 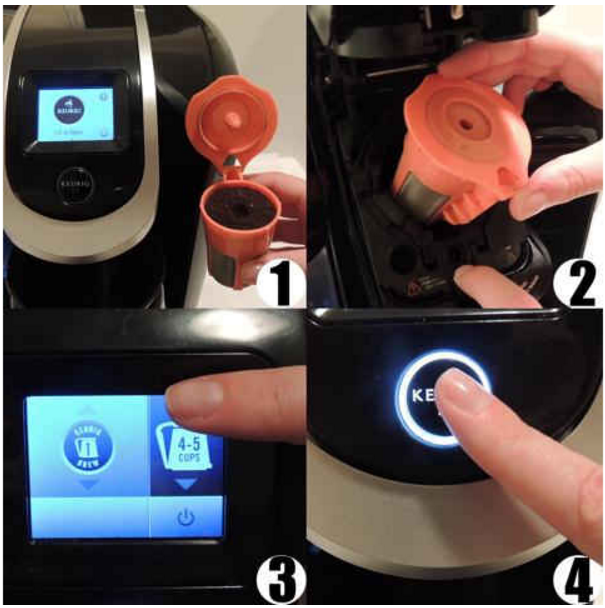 Open the Reusable Carafe K Cup Filter lid and fill it with freshly ground coffee. Fill it up to the level of the filter. The amount of coffee depends how strong the flavor and how many cups of coffee you are making. Slide front beveled edge into brew basket. Close brewer’s lid, make sure it closes properly, if not, open brewer’s lid and reseat the carafe into the basket. Install Keurig 2.0 Thermal Carafe and wait for the brewer to initialize the system. BREWS UP TO 5 CUPS OF COFFEE. This is a must have for any coffee lover with a Keurig 2.0 brewer. You can now brew your own gourmet coffee into a larger carafe size container with our reusable carafe k cup for Keurig 2.0. No need to fiddle around with multiple reusable k-cup units to get several cups of coffee, now that there is a k carafe size. 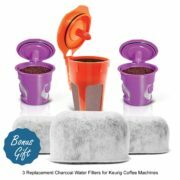 Now when friends or family come over, or when one cup will not cut it, a you can use the Keurig 2.0 K carafe reusable k cup filter to brew a full pot of coffee. This means you can now brew freely and stop spending money on more expensive carafe k cups from the stores, and simply tailor your coffee to your own taste. 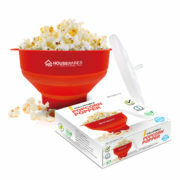 COMPATIBLE WITH KEURIG 2.0 SERIES. 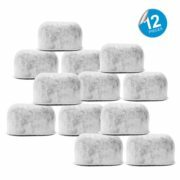 Our Reusable Carafe K Cup Filters are compatible with Keurig 2.0 – K200, K250, K300, K350, K360, K400, K450, K460, K500, K550, K560. 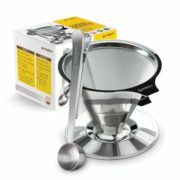 Brew your favorite coffee without any error code or modification needed. 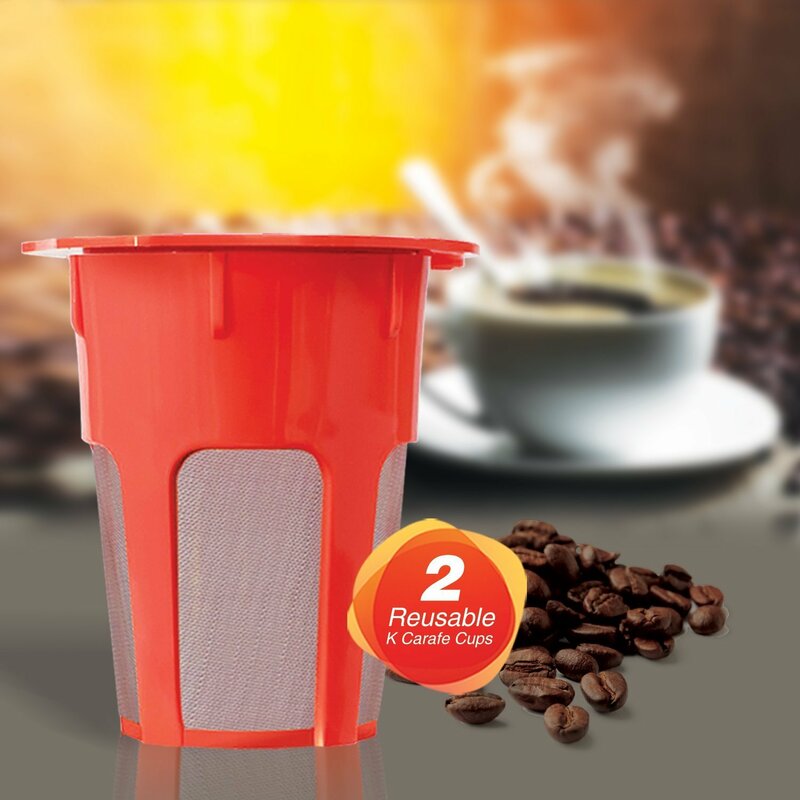 GREAT DESIGN, DURABLE AND EASY TO USE – The Reusable Carafe K Cup Filters has a multi flow water port to insure even brewing and to be able to extract the full flavor of the coffee. 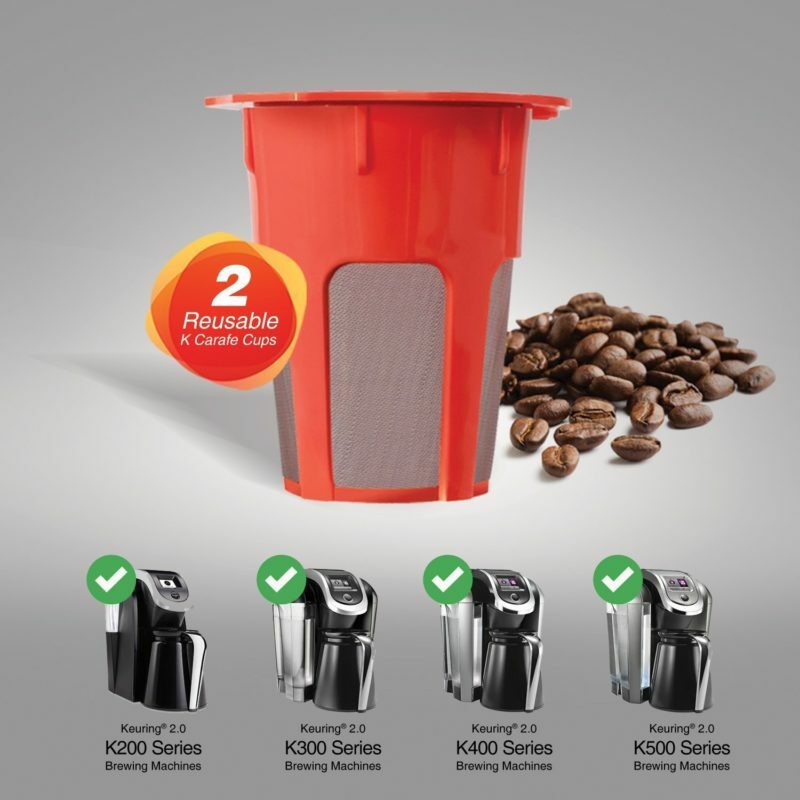 The K cup has sturdy hinges to insure that each unit will last longer. 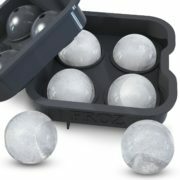 The lid is sealed with a silicone O-Ring for a snug fit and specifically designed to resist high temperatures. 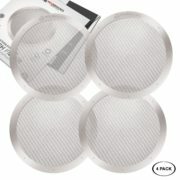 The filters are made up of fine laser etched mesh to hold from the coarse French blend to fine espresso blends. 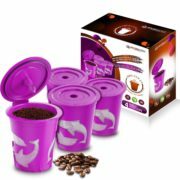 This insures that each cup will be the perfect blend of coffee. ENVIRONMENTALLY FRIENDLY. Brewing in the reusable carafe k-cup not only saves money, it also can help save the environment. Made from BPA free plastic and medical grade stainless steel mesh, it is designed to not affect the taste of your coffee. 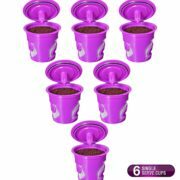 Unlike most disposable store bought K cups that are non-recyclable, you will save the environment and reduce waste by using our carafe k cups. USE TEA, HOT CHOCOLATE, HOT WATER, HOT COCOA AND OTHER INFUSIONS INSIDE YOUR KEURIG MACHINE – No more buying expensive Carafe K Cups. 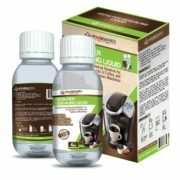 Easily control the brew strength without messing with clicks or hacks for Keurig 2.0 Brewers. 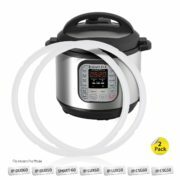 Can also be used for hot water, hot cocoa, tea, or other infusions depending on your choice.